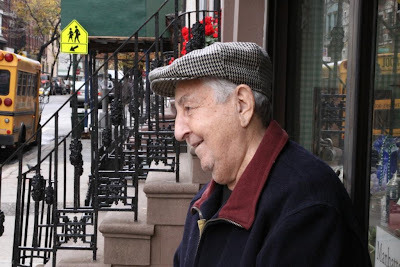 For 30 years, Jimmy DiCiccio and his brother Philly (below) ran a butcher shop on lower MacDougal that was patronized by, among others, local mobsters like Vinnie "the Chin" Gigante and on occasion, John Gotti. The brothers grew up in the neighborhood with all the "made guys" though the DiCiccios didn't participate in the hooliganism. "Those guys were good guys," Jimmy says. Jimmy spends his Thursdays at Aqueduct Raceway betting on the horses. His favorite greeting phrase," Hey, Kenny, what is it?" 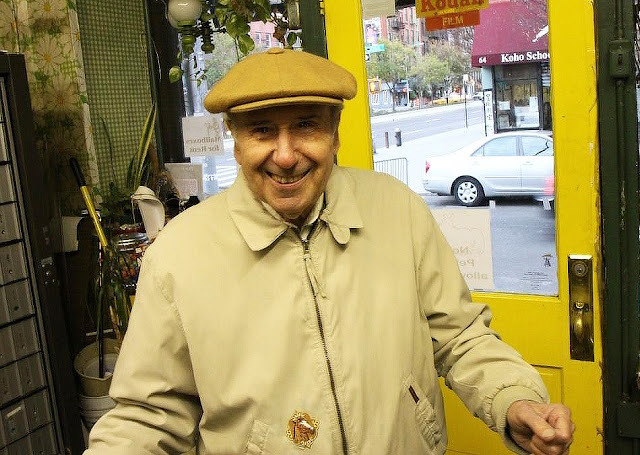 Back in the 60s, Philly DiCiccio was best friends with Jilly, the right hand man of Frank Sinatra. They all grew up in the neighborhood. Sit around sipping coffee (at Lenny's Something Special) with Philly long enough and he will regale you with tales of the old days: hanging at Atlantic City with Jilly and Frank. Partying at Sardi's with Sammy Davis and Keely Smith. Seeing a young Barbra Streisand perform at the Gaslight Cafe. Or when he was a kid and Joseph Kennedy would recruit local teens to run liquor on the waterfront during prohibition. At 91, Philly's knees are not so good these days, but he's still one heck of a snappy dresser. Very interesting life stories on these folks and wonderful portraits! What great portraits, KM. I don't know how you manage to really capture the New York of days-gone-by. I hear Gershwin music! How do you do that?! Knees or not, he looks damned good for 91! But I love that shot of Jimmy; bet he's a hugger and a kisser. When I get up there to the Big Apple, KM you gotta take me to see these two guys. I would love a chat with them for sure. PS the sign is coming. I am getting to desperate for photos it may be tomorrow! A bit of history and nostalgia. Classic portraits!